As a central aspect of an individual’s facial appearance, the nose is rarely considered in isolation. The dimensions of the nose are often observed in relation to surrounding features, serving as an integral part of a person’s delicate facial balance. Our experienced plastic surgeon based in Cape Town, Dr Rory Dower, understands that this can create a source of insecurity for those who perceive their noses as larger or smaller than their aesthetic ideal. 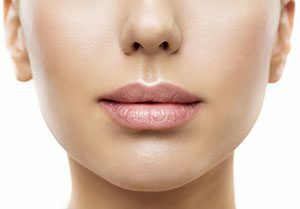 Every person has their own unique reasons for pursuing rhinoplasty (nose surgery), and Dr Dower approaches the procedure with the goal of providing natural-looking results that appear harmonious to an individual’s facial symmetry. Using his eye for aesthetic beauty and extensive knowledge of facial anatomy, Dr Dower can reshape the nasal structure according to a patient’s specific goals for surgery, providing an exceptional outcome that balances and complements their profile. Proficient in performing rhinoplasty, Dr Dower has been able to refine his technique in this procedure through specialized training at both The London Clinic and the Marienhospital Stuttgart. Dr Dower realizes that the face undergoes changes as a person matures, and he accounts for these developments when performing the surgery to deliver a proportional result. While many patients consider rhinoplasty for cosmetic reasons, the procedure can also be utilized to repair a deviated septum and/or help individuals restore normal breathing function. If needed, Dr Dower has extensive experience in and offers other facial corrective surgeries as well, including eyebrow lifts, ear corrective surgery, eyelid surgery etc.). It’s really refreshing to be cared for by a team that is so efficient and pays such attention to detail. Because our practice believes no two patients are the same, Dr Dower and his team strive to give each patient the individualized care that will allow their aesthetic ideal to be actualized. During a consultation, you will work with Dr Dower to develop a personalized treatment plan in order to ensure your reasons for nose surgery are comprehensively fulfilled. Through transparent discussion of your cosmetic desires and the involved risks of the procedure, Dr Dower can work diligently to see that the final results align with your expectations. Rhinoplasty is usually performed on an outpatient basis, and general anesthesia is utilized. Depending on both an individual’s unique nasal structure and their goals for surgery, rhinoplasty generally involves either the “open” or “closed” technique. Open rhinoplasty places the incision inconspicuously along the base of the vertical strip between the nostrils, typically allowing optimal visibility and control over the procedure. In contrast, closed rhinoplasty places the incisions internally. As incisions are hidden inside the nose, the closed technique typically does not allow as much precision over the operation as the open approach. Due to the higher levels of control and very discreet scarring afforded by the open technique, Dr Dower utilizes this method most often. Once the incisions are made in the appropriate location, the cartilage and bone can be reshaped to serve as the new framework for your desired aesthetic result. Immediately following surgery, patients may notice bruising, swelling, and/or tenderness around the nasal area. This generally dissipates as healing progresses, and Dr Dower will provide personalized post-operative instructions in greater detail at the time of the operation. A bandage, splint, and/or gauze may temporarily be worn to limit movement of the facial muscles during the recovery period. Light activity can typically be resumed the day after the procedure, while normal activity may require one to two weeks of additional recovery. Plenty of rest will be necessary to accelerate the healing process. Patients generally report great satisfaction after rhinoplasty, both because of Dr Dower’s prioritization of patient safety and the exceptional surgical outcome. The procedure typically allows a more proportional balance between the nose and complimentary facial features for an overall enhanced appearance. For more information on nose surgery performed by Dr Dower, or to schedule a consultation, please contact our practice today.